Family Enrichment is located on 75th Street, 1/4 block north of Pacific Street. From 72nd and Pacific: Head west on Pacific Street. Turn right (north) on 75th Street - the first street past the Subway restaurant (but before you get to Certified Transmission. If you've reached the Phillips 66, you've gone too far). Once on 75th Street, Family Enrichment will be on your left. It is the third building on the west side of 75th. 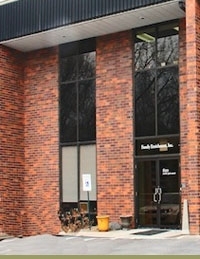 It is a brick building, and free parking is available in front of the building.